Dragnet Solutions is an indigenous dynamic Technology firm with profound reputation in deploying screening and assessment solutions, Which specialize in implementing computer-based screenings and deploying bespoke recruitment hiring tools. 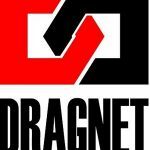 Dragnet-Solutions provide employment and educational solutions for a variety of uses. DRAGNET aptitude test are computer based tests (CBT) and the questions comprise of Numerical,Verbal Reasoning and Abstract Reasoning Questions. This e book comprises of screen shots of their past exams and were gathered from a reliable source. It will give you all you need to know about past exams conducted by DRAGNET. Dragnet conducts test for companies like Flour Mills, GlaxoSMithKline, Nestle Nigeria, Keystone Bank, Skye Bank, PZ Cussons etc. Dragnet questions are usually reshuffled from a pool of questions hence as you expose yourself to as many of their past questions as possible, you understand the dragnet aptitude test format and also increase your chances of seeing the same questions in your exam. Send a text to this number 08060833386 containing your full name, email address and DRAGNET Past Q & A. Once your payment is confirmed, we will send your E-book to your email immediately. 2. Send a recharge voucher worth N2,000 with your full name, email address and DRAGNET Past Q & A. We will send your E-book to your email immediately. Thanks a lot. I got prompt response after payment was made.